Will the new iPod Touch resemble this concept for the iPhone 5? A wealth of information on the new iPods rumored to launch this week has come to light, including hints of a panorama camera mode for the new iPod touch and iPhone 5. If the rumors are true, panorama mode will allow the new iPhone 5 and iPod touch to automatically stitch together multiple images for extra-wide panoramic shots. The Samsung Galaxy S3, the iPhone's main competitor, already boasts panoramic functionality. What's more, various third-party peripherals (like the Kogeto Dot and Pixeet 360) have previously enabled the iPhone to take panoramic pictures and videos. So panoramas coming to the new iPhone 5 and iPod touch natively makes perfect sense. The slew of new iPods set to launch this week alongside the iPhone 5 were first hinted at last week. Days later, more details about the new iPods emerged that claimed they would take the form of new iPod touch, iPod shuffle and iPod nano models, in varying colors and sizes (even the iPod touch, previously just black or white) and possibly with massively revamped features. Now 9to5mac claims that the new iPod touch carries the internal codename "N78," while the iPod nano is "N31" and the new iPod shuffle is "N12B." The new iPhone 5, meanwhile, has reportedly been known as the "N42" for some time now. Additionally, the Apple news blog claims to have received information about the new iPod touch and iPhone 5's display resolutions. Both devices will sport a resolution of 1136x640, according to the report, beating the displays of the current iPod touch and iPhone 4S by almost 200 pixels. That suggests that like the iPhone 5, the new iPod touch will feature a larger screen - likely 4 inches. 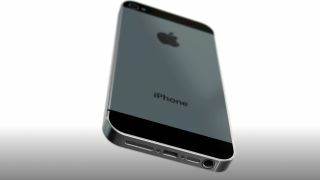 No matter what, all is likely to be revealed on Sept. 12, when the new iPhone 5 and any new iPods may be unveiled.